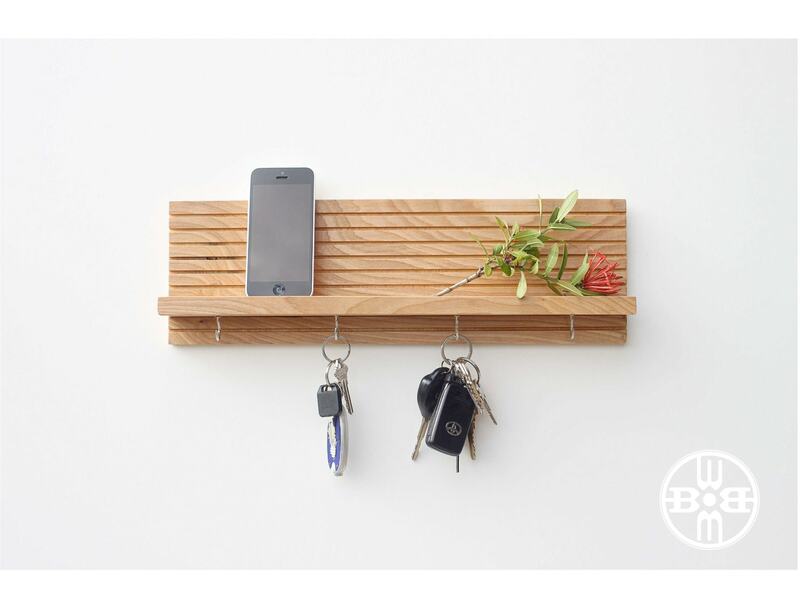 Our handmade wall mounted jewelry holder features a 2-inch deep shelf for storing fitbits, perfumes, or other items necessary to your daily life. 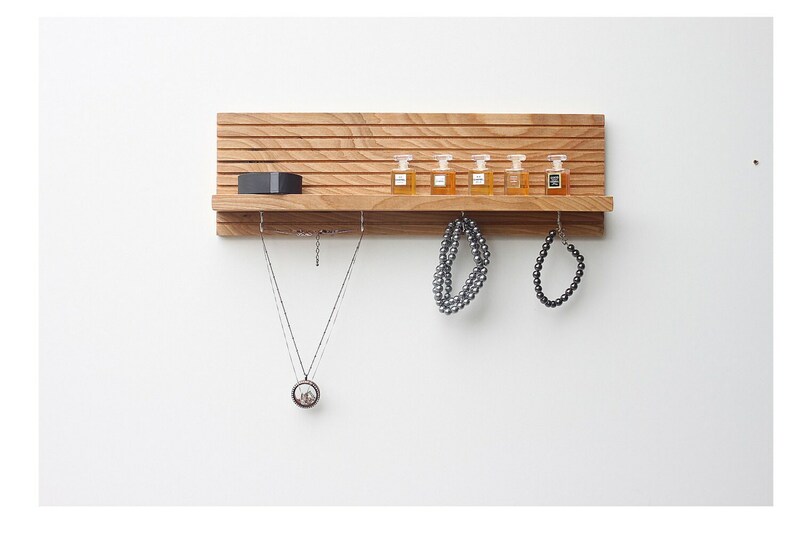 It works beautifully for hanging necklaces and storing/displaying watches, bracelets, and other small items from metal cup hooks. 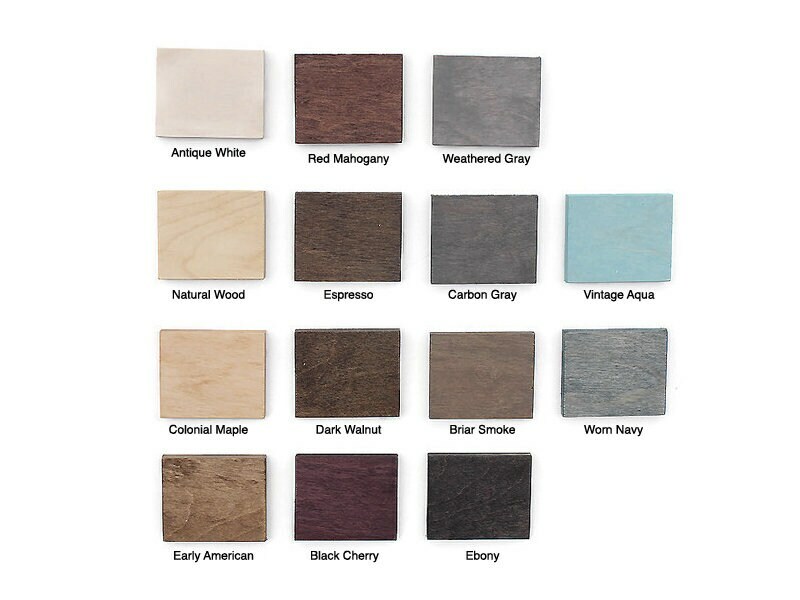 *Please feel free to convo us about custom orders and colors! • Color: Please select color preference from drop down box and color swatch image. 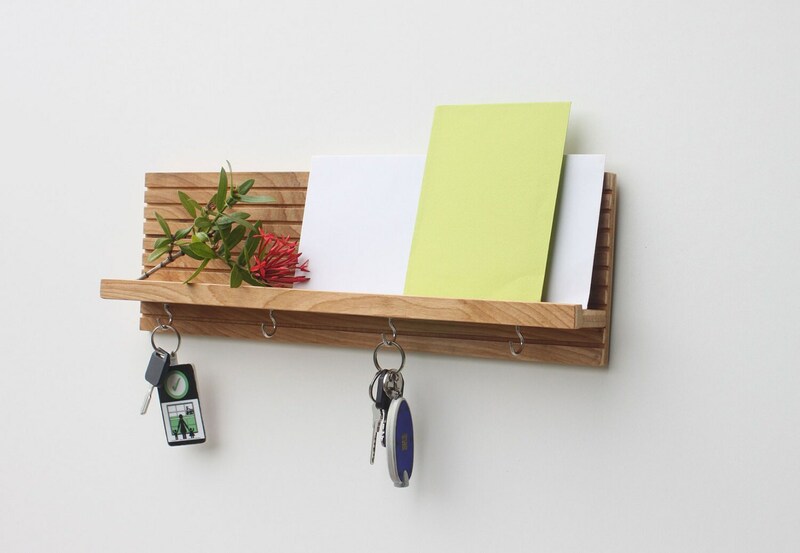 (Natural wood stain with silver key hooks featured here.) Item is finished in a matte clear coat. • Number of Hooks: See dropdown box to choose between a set of 4 hooks or 7 hooks. 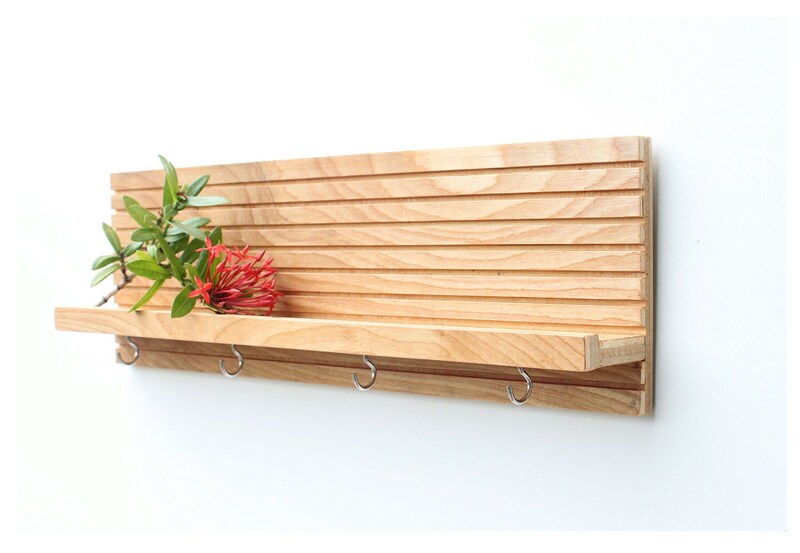 • Made of wood artfully hand tooled in a pattern of inset horizontal lines, our jewelry rack features a series of metal key hooks and a sturdy shelf for added functionality.